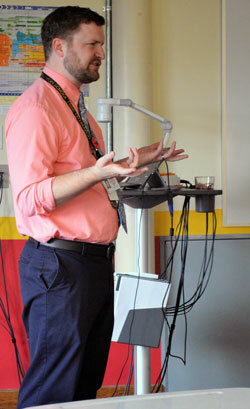 Daniel Morse put forward the question to about a dozen students: What are some basic needs that you have every day? “Attention,” said Danisha Harris. “Clothing,” chimed in Samiya Buxton. “Food,” added David Martinez-Amaro. Exactly, said Morse. Without getting those needs met, he stressed, a student’s going to have a hard time in school. 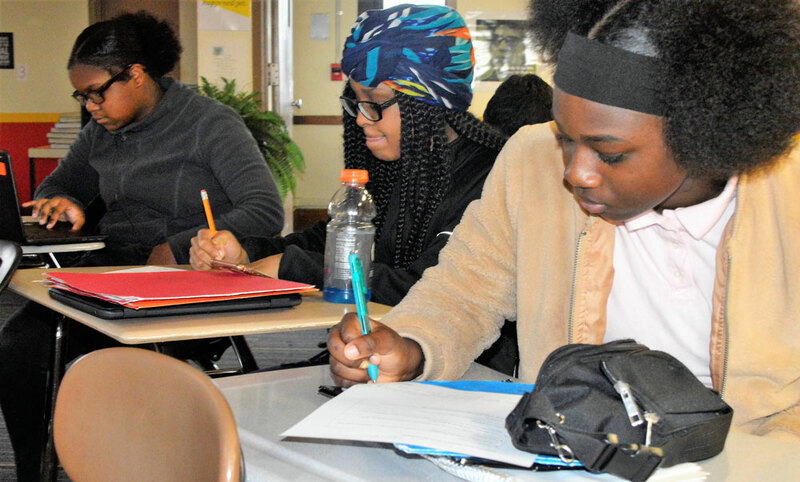 WHAT: A “grow-your-own” program of Grand Rapids Public Schools and Ferris State University, aimed at creating a pipeline of future teachers from K-12 schools to FSU and back to GRPS. WHO: Students at Innovation Central High School. HOW: Students take classes in teaching at Innovation Central, visit FSU and other GRPS schools, hear guest speakers and receive mentoring from master teachers. Dual-enrollment classes will earn students seven early college credits at FSU (or another university if they go elsewhere), and an additional three credits if they enroll at Ferris. Upon earning a bachelor’s degree and teaching certificate from the FSU School of Education, graduates will be first in line for teaching jobs at GRPS. 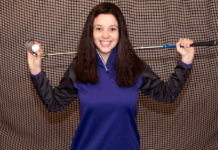 Officials aim to cover their tuition costs with scholarships and reimbursement. 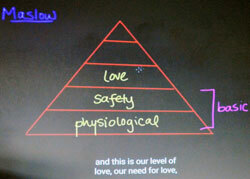 Through this lesson on Abraham Maslow’s hierarchy of needs, Morse is driving home one of the crucial components of being a teacher. Why? Because he hopes some of these freshmen students will become teachers in Grand Rapids Public Schools. The class is Foundations for Teaching, the introductory course of the Academy of Teaching and Learning. 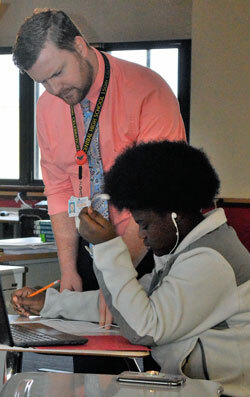 A partnership between GRPS and Ferris State University, the academy, which began this fall, aims to motivate students to go into teaching. 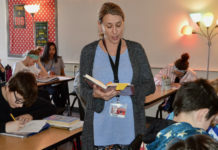 They can earn up to 10 teacher education credits at FSU by sticking with it and, upon graduating from there with a teaching certificate, be first in line for teaching jobs at GRPS. 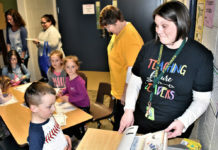 “Our aim is to grow our own products, the people who are going to be committed to our community and to the district, and come back to do the work that is necessary,” said Morse, lead teacher for the academy. Danisha Harris, for one, is plenty interested. Count Cailyn Battles in too. 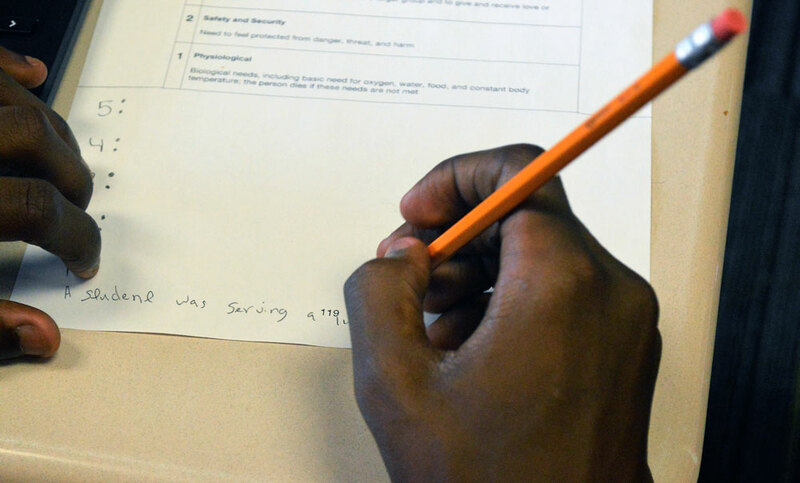 The 15 students in the Teacher Academy are gaining insights into what teaching might have to offer, at a time when GRPS and other districts state- and nationwide are facing a teacher shortage. Initial teaching certificates issued in Michigan dropped from 9,664 in 2003-04 to 3,317 in 2017-18, according to state data reported in The Detroit News. GRPS was short 41 teachers at the beginning of the school year, district officials said. The program evolved from discussions with Superintendent Teresa Weatherall Neal about GRPS’ need for more African-American and Latino teachers, specifically, said school board trustee Tony Baker. “The biggest problem is we don’t have enough diversity in the teaching corps,” said Baker, director for community engagement at Ferris. He initiated the program to address that need as well as encourage more college enrollment. Dr. Andrea Kitomary, student retention coordinator at FSU and liaison to the Teacher Academy, said the university wants to increase not just the number of its 100 or so students in teacher education, but their diversity. Innovation Central’s highly diverse student body provides a great fit, Kitomary said. Kitomary visits the class most Fridays to encourage students and help arrange off-campus experiences. Students this fall visited Ferris, talked to education students there and later met up with them at Craig’s Cruisers. 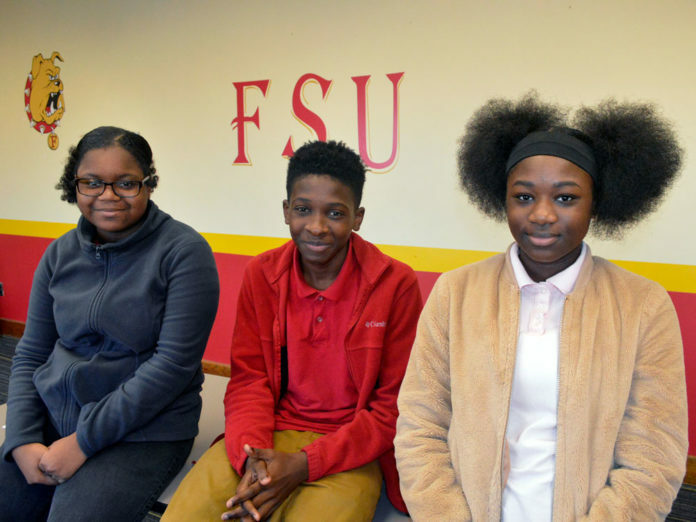 FSU students will visit Innovation High as well, to help the high schoolers build relationships and develop “a sense of belonging at the university,” Kitomary said. A Ferris professor also will help Morse teach some classes next semester and in future years. 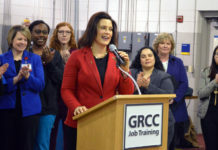 Students will take one teacher education course each year and begin earning college credits their junior year, Kitomary said. Beginning that year, students will assist teachers in GRPS schools one day a week, upping that to four days a week their senior year, Morse said. Officials hope students also will be able to take FSU general-education courses so they may graduate with 16 total college credits, Baker said. 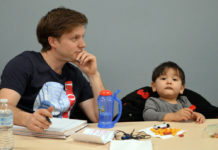 In his Foundations for Teaching class, Morse emphasizes what he calls “the science of education and the art of teaching.” He covers the developmental stages of children and their different learning styles; the importance of equity, empathy and inclusion in working with students; issues that affect learning, such as safety and bullying; and being highly skilled in your teaching content area. He also works in a good deal of Grand Rapids history, such as the story of Hattie Beverly, Grand Rapids’ first African-American teacher. Morse shared a newspaper clipping detailing how Beverly enrolled in a GRPS teacher-training program in 1897, but initially encountered resistance to being hired because of her race. 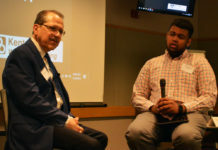 Such stories help students better understand the community in which they’re being encouraged to teach, and imparts “a sense of service to where they grew up,” he said. Morse can point to his own story as a model for coming back to teach in Grand Rapids. 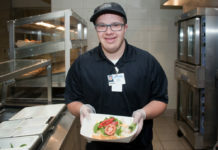 The son of Nancy Morse, a career GRPS special-education teacher, he earned his bachelor’s degree at Central Michigan University and a master’s in urban education at Davenport University, and has done course work at Harvard. He is in his eighth year teaching at GRPS. 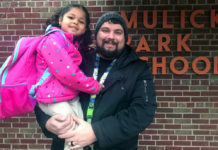 Despite their desire to teach, both Danisha and Cailyn say they’d rather go elsewhere than come back to Grand Rapids, at least initially. “I want to get out and explore,” Danisha said. 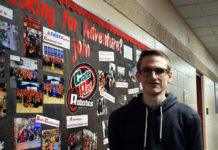 However, students’ perspectives can change once they hit senior year and take a hard look at tuition costs, said Innovation Central Principal Mark Frost. The promise of being hired at GRPS and tuition reimbursement through Ferris could look much better then, he said. Danisha and Cailyn say they do appreciate the cost savings of the FSU program. 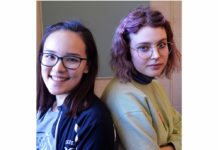 Both have had teachers who helped them do better in school, and they would like to do the same for others – despite teaching’s challenges such as discipline and its modest pay relative to some other professions.